In my last post, I listed my recent academic publications. This post will focus on the articles that intersect with my research but have been published in a form that is more journalistic. I have always thought it very important for academics and intellectuals to ensure that their ideas travel further and, at minimum, attempt to intersect with the way that formations of popular culture migrate through our contemporary media culture. As a result, I have now written several articles in a brilliant crossover online "newspaper/news source". The journal is called The Conversation. and represents a new model for the conversion of university thinking and research into the flows of stories that move through the contemporary web. A forthcoming academic article I am developing will look more closely at The Conversation as well as Ted Talks and the way that these provide directions for how ideas can circulate currently. For now, this post is all about what I have written recently in a more journalistic way. Many of these articles are the germination sources for my academic work; but some just stand alone - I hope - as interesting reading.. 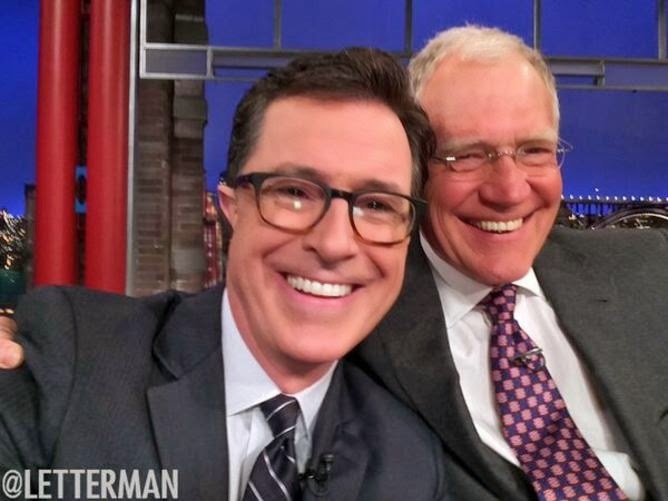 Unless you live under a rock, you are probably aware that Stephen Colbert recently decided to take over Late Night - the talk show hosted by David Letterman for the last 25 years at CBS. This article explores the persona of Colbert with the silent "t" that he has both inhabited and constructed for most of the last decade. As one of the most interesting 'roles' in contemporary television, Colbert stayed in character both onscreen and, for the most part, off-screen. It allows us to explore the dimensions of a public self - a structure of public presentation that resembles Ancient Greeks and their separation of citizenry and domesticity. The run-up to the Oscars was interesting in the way that the public persona of Cate Blanchett was constructed and managed by the actor herself. The actors' actor also projected a persona of performance and poise that resembled the persona of Katherine Hepburn in its movement through both entertainment and other spaces. This article investigates that construction of a public personality by the eventual winner of the Best Actress Oscar for 2013. An unusual domain on the Internet is what is known as celebrity fakes - an entire world populated by graphic and hard-core images of the most famous. Unlike those ripped from Iphones recently, this is industry is built on the photoshopping of naked bodies with famous heads and are openly acknowledged as fakes. This article explores the reasons why this practice is both so prevalent and not prosecuted by celebrities and other public personalities. Suburban shopping malls cater to efforts at reconstructing us through its construction of consumer possibilities and potentials. The efforts of firms such as StarShots are to transform the person into a version that matches the structures of fame and allure. This article investigates this 15 year old form of photography and its play with private to public transformation of the self. See Marshall, PD (2013), “Glamour photography makes suburban stars of us all”, The Conversation, 9 December, Available online at: https://theconversation.com/glamour-photography-makes-suburban-stars-of-us-all-20828. Want to know more about the international movements and directions of the online distributor of content, Netflix, and what made it intersect with key transformations in both the entertainment industry and online culture? Here is at least one source for a reading of their success and its likely expansion into new markets such as Australia. The development of the current array of talent shows appears to be different, but has remarkable similarities in the production of fame to early television's construction of star-making machines. Reading and re-reading of what constitutes popularity is the parallel trope of old and new. This article connects these traditions through some interesting examples. I will update when more popular articles that I have written appear. The next post: Part three of updating my research work. The focus will be on my recent presentations, videos, interviews and other media sources. I really like your approach at presenting ideas to the masses by involving the contemporary media culture. Do keep sharing more quality content with the readers.